Mon. – Thurs. 8 a.m.- 5 p.m.
Friday 8 a.m.- 6 p.m.
Mon. – Thurs. 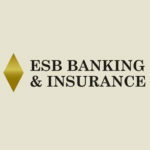 7:15 a.m.- 5 p.m.
Friday 7:15 a.m.- 6 p.m.
ESB Banking & Insurance is a locally owned and operated community bank that has been servicing the area since 1909. As the only bank headquartered in Houston County, we are a Real Community Bank dedicated to serving all your financial needs.